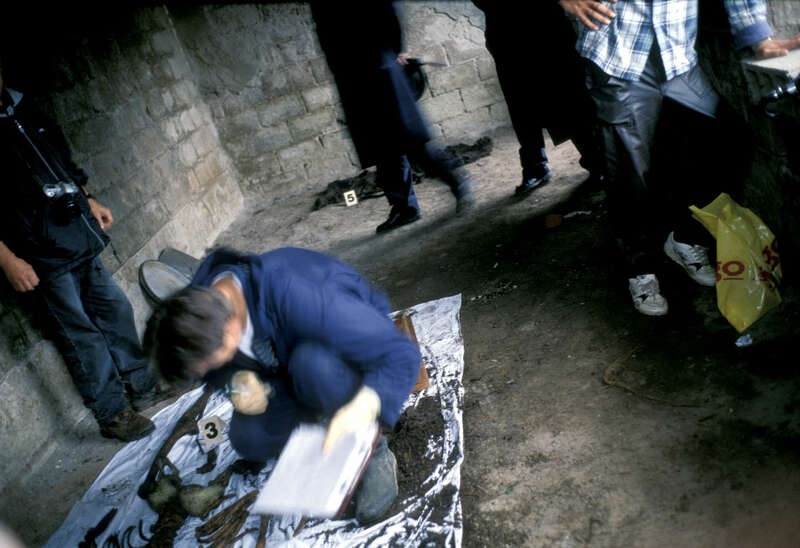 Police crime scene technicians examine the remains of a Muslim man killed in May 1992 and exhumed eight years later. Every exhumation is attended by crime scene experts who send their reports to the war crimes tribunal at The Hague for use in possible prosecution there. October 2000.